Every infamous dictator needs suitably imposing machines to cruise around in, surveying their minions. And Mussolini was no different, with his expensive taste for cars. But it's his mistress's car that is in the limelight now, after selling for more than $2 million (£1.4 million) at auction in Paris. 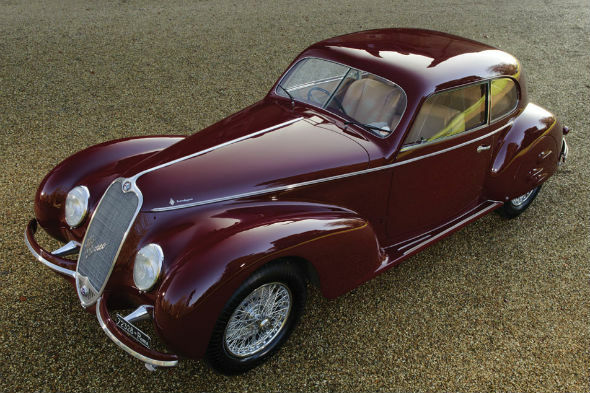 The dictator bought his girlfriend, Clara Petacci, a 1939 Alfa Romeo 6C Sport Berlinetta as a present and this car played a big part in his life – and death - as he and Petacci attempted to flee from Italy in it at the end of the Second World War. The fascist leader had met up with Petacci and the 110bhp Alfa at Lake Como, with the intention of seeking asylum in Switzerland, reports the Daily Mail. En route to Switzerland the pair were stopped before being identified and shot as they made their escape. The motorcade that the pair were driving in was stopped at a roadblock near the shores of Lake Como on April 27, 1945 and both figures were identified. The pair were then shot dead and hung upside down at a petrol station. The Alfa Romeo was confiscated before being bought by a US army air corps officer, and shipped to New York state in 1949. The car was subsequently abandoned in a barn for more than 20 years after it broke down, before being bought for a mere $300 in 1970 by a shrewd antiques expert, who uncovered its dramatic past. Back in 2001 the 6C Sport Berlinetta received an extensive 500,000-euro restoration, bringing it back to its former glory.